-Large Shade Trees- Oaks, Maples, Sycamores, and more! Up to 20 plus feet available. -Ornamental Flowering Trees- Cherry, Pear, plum, and more! -Evergreen Trees- Perfect as privacy plants. 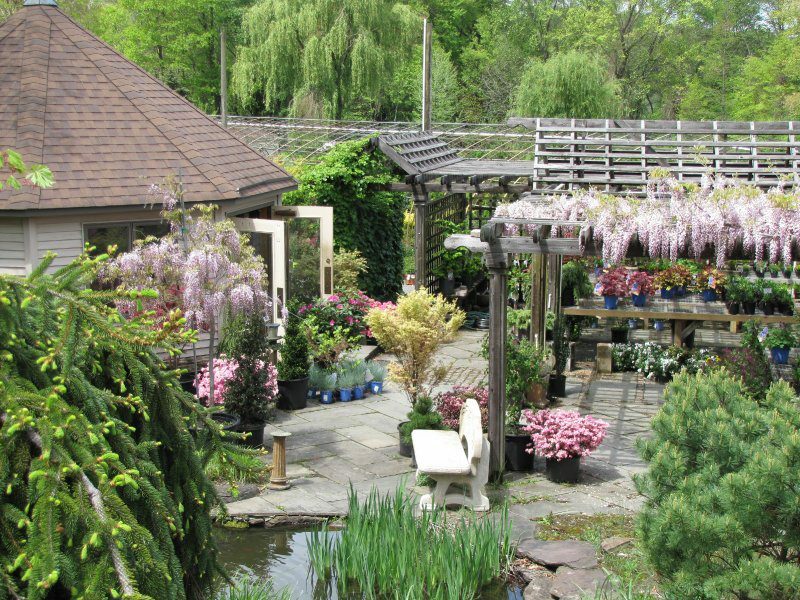 Pines, Norway Spruce, Blue Spruce, Arborvitae, Leyland Cypress, Japanese Cedar, and more! -COMMON, DWARF, AND UNUSUAL SHRUBS AND TREES. -JAPANESE MAPLES- RARE AND UNUSUAL HARD TO FIND VARIETIES. -DWARF CONIFERS- HUNDREDS OF SPECIMENS WITH DIFFERENT COLORS AND TEXTURES. -Herbaceous perennials and ornamental grasses- Native and unusual species to attract butterflies, bees, and hummingbirds into your garden. -Native trees and shrubs- Viburnums, deciduous Hollies, Hydrangeas, and Laurels. -Holiday Decor- Pumpkins, corn stalks, straw bales and Christmas necessities.